It’s all well and good cleaning floors, table tops, mirror, etc. – they’re flat and smooth surfaces! But trying to clean your living room furniture is just that bit trickier. For a start – not smooth. Second – not flat. Couches and chairs are frequently made of fabrics that are often difficult to clean. While you can usually wipe off spills on leather and PVC, often some food crumbs find their way down the cracks, and fabric seating can be a lot more difficult to clean. But never fear, we are here to help with our tips for cleaning your living room furniture. The first thing you need to do is to remove all the cushions you possibly can from your furniture. Dirt, grime, and other bits and pieces have a habit of slipping down the cracks, so you need to remove them to get in there to clean. Now that your cushions are removed, you can start the first part of your cleaning process by vacuuming up any loose debris. Take the head off your vacuum cleaner, and use a nozzle attachment, or simply just the end of it without any attachment. If you have fabric covers to the cushions, first check the washing instructions, and if allowed, put them in the washing machine to freshen them up. May sure not to tumble dry and lay them flat when you’re letting them dry. Again, with fabric couches, you might find little dirty patches on the fabric in particular places. You should be able to pick up a specific cleaning agent at your large local supermarket or the hardware store. Always test a patch that’s out of the way when you apply the cleaner for the first time in case it bleaches the fabric. If your living room furniture is still looking grubby, then it might be time to call in the experts. Did you know, that like carpet cleaning, you can get in professional home cleaners to clean your upholstery items? This means that you can get a deep clean instead of just a surface clean for your living room furniture. 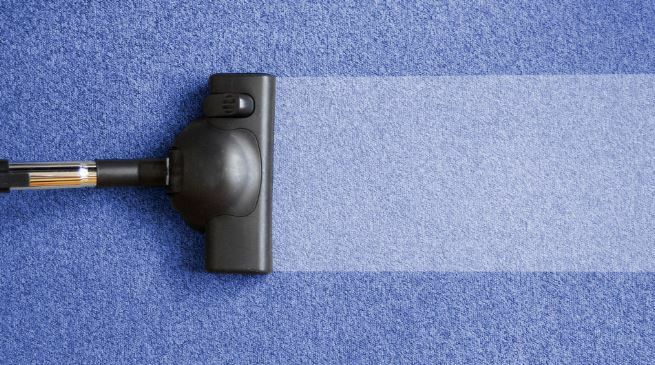 HouseProud offers upholstery cleaning, carpet cleaning, and home cleaning services around Newcastle, Sydney, Canberra, Brisbane, Perth, Melbourne and Adelaide. All our cleaners are professionally trained, police checked, and use effective cleaning products to get the job done. If your living room furniture needs a good deep clean, then look no further.